The automotive sector produced 725 thousand vehicles; of these 441 thousand units were automobiles in the first half this year. When the data compared between the years 2006-2016 in terms of H1, the total production has reached the highest level. 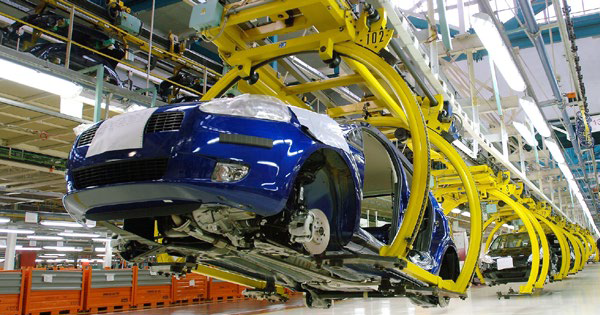 In the first half, together with tractor production, the total automotive production reached by 755 thousand units. Automobile production accomplished the highest number between the years 2006-2016 in terms of the first semester. Tractor production increased 23 percent to 29,979 units in H1 this year. When data compared for the years 2006-2016 as of the first half, the tractor production accomplished the highest. The total market slightly decreased 1 percent to 451 thousand units in the first half over the same period last year. The automobile market increased 3 percent to 338 thousand units in this period. The sales of imported automobiles increased 3 percent; domestic made ones upped 5 percent in H1 this year. In June, the automobile market share became 76 percent. The imported market share of light commercial vehicle (LCV) was 47 percent in H1. The total sales of LCV decreased 4 percent, domestic made ones plunged 11 percent and imported ones increased 5 percent in H1 this year. In June 2016, the imported market share of LCVs became 49 percent. Heavy commercial vehicle market decreased 46 percent to 12,180 units in H1 over the same period last year; the truck market decreased 48 percent to 10,469 units, midibus market 47 percent to 939 units and bus market 16 percent to 772 units respectively. As for the last ten year on average, the total market increased 32 percent, automobile market 50 percent and light commercial vehicle market 3 percent; meanwhile heavy commercial vehicle market decreased 34 percent. The share of imported automobiles became 74 percent in the first half this year. As for the exports, the total automotive exports increased 14 percent to 554 thousand on the base of unit accounting for 76 percent of the total production; automobile exports increased 11 percent to 339 thousand. Commercial vehicle exports increased 18 percent and tractor exports increased 9 percent to 7,531 units in H1.